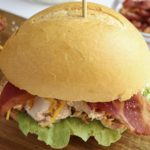 Oscar Mayer Bacon Ranch Chicken Sliders are the most delicious and flavorful chicken sliders that are so easy to make! 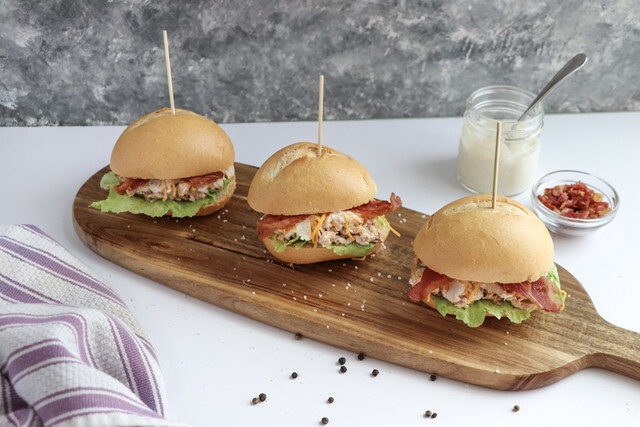 Packed full of tender shredded chicken, salty bacon, and cheese these sliders are always a crowd pleaser. If I could add bacon to everything, I would. Good thing that my family loves it too. 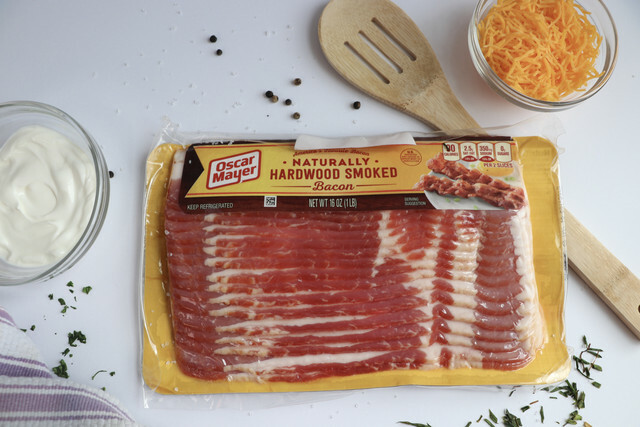 Oscar Mayer Bacon has been my go-to choice for a long time as it cooks perfectly every time and it’s sugar cured and smoked with real Wisconsin Hardwoods. I love using my super popular Slow Cooker All-Purpose Shredded Chicken for this recipe! 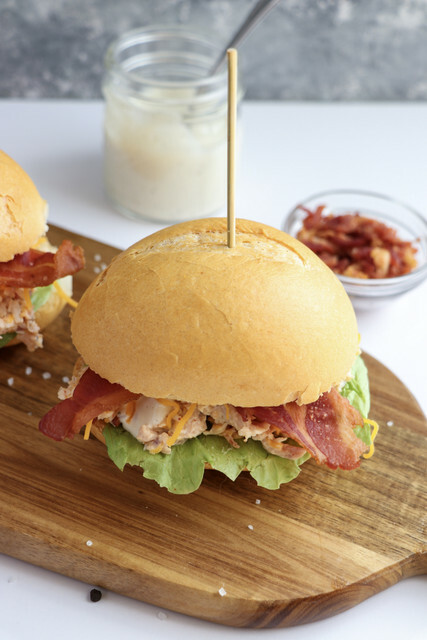 It makes this slider recipe even easier because the chicken is cooked and shredded ahead of time. 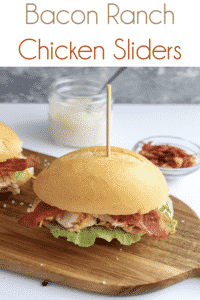 Once the chicken is cooked these sliders are so easy to assemble. 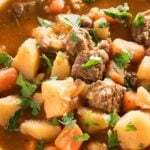 Perfect for a quick and tasty dinner during the holiday season! 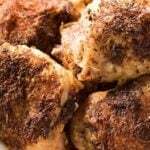 First you will start by making your shredded chicken in your slow cooker as noted in the recipe linked here. I like to do this in the morning and let the chicken cook all day. If you don’t have the time, a simple rotisserie chicken will do just fine! Once the chicken is cooked and shredded, I get my bacon on my frying pan to crisp it up. Oscar Mayer Bacon never lets me down and cooks up just right. 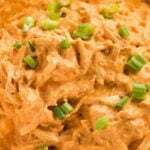 While the bacon is cooking, add the cream cheese to the shredded chicken while it is still warm! 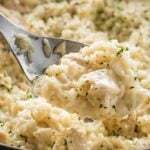 This really speeds up the process and gets the chicken and cream cheese combined and pulled. By now the bacon should be ready, I separate it into two halves. The first half I crumble and mix into the creamy chicken. The second half I save for later to top off the sandwiches. 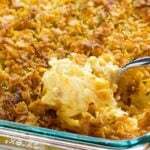 When you add the bacon to the creamy chicken, you can also added in chopped green onion and shredded cheddar for a little extra flavor. Now for some easy homemade ranch! Combine mayonnaise, sour cream and milk until smooth. Add in dry seasonings and mix well. If you don’t have the time or ingredients on hand, store-bought ranch dressing will do just fine! After I’m done with the ranch it’s time to start assembling the sandwiches. I like getting the smaller slider buns so they’re easier to eat at holiday parties. 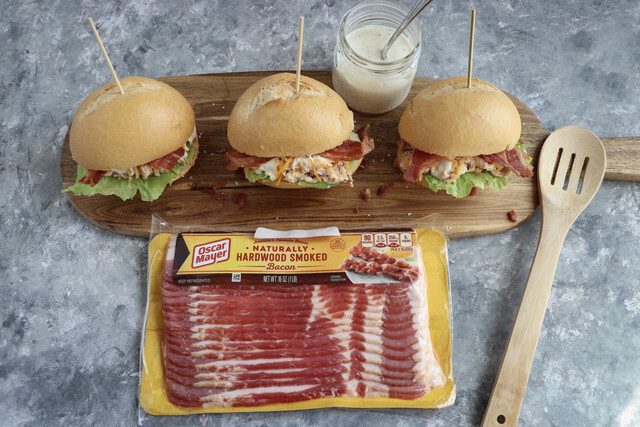 I start with the bun, add fresh lettuce, then the creamy bacon and chicken, pour on a little homemade ranch, a sprinkle of cheddar and top with Oscar Mayer Bacon slices and voila! And a bonus: when you run out of buns, you can serve it as a dip! 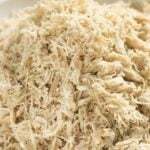 In a large bowl mix together the shredded chicken and softened cream cheese until combined. Crumble HALF of the cooked bacon and stir into the chicken mixture along with half of the cheese and the sliced green onions. Spread the chicken mixture evenly onto the bottom half of the slider rolls. Top with lettuce, remaining cheese, and ranch dressing as desired. 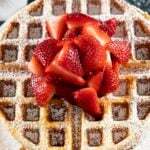 Combine the mayonnaise, milk, sour cream, seasonings, and lemon juice in a medium bowl. Stir well to combine. Serve with sliders as desired. Store the ranch dressing in a sealed container in the refrigerator for up to one week.